176 readers have visited this universe since PutAnotherX created it. 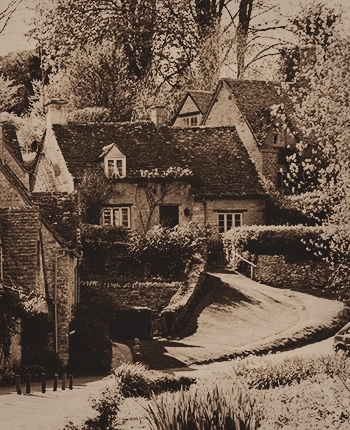 For as long as anyone has known, the village of Wall in England has been home to a gateway between the mundane world and that of magic. Of course, if one were to ask, the residents would claim the gap in the wall from which the village got its name was only guarded out of tradition rather than a closely held belief. Still, no one dares cross the gap, except once every nine years for the Market Faire. Nearly eighteen years ago, little more than nine months after the Market Faire of April 1839, a pair of babies, twins, were left on the wall for a Wall resident. Now, these children are grown and pushing the boundaries of their little village. The village of Wall is peaceful and comfortable. Nothing of particular note to outsiders happens between Market Faire years, but once every nine years, for three days late in April, travelers flock from around England and around the world to see the fabled market just beyond the gap in the wall. That gap is guarded 24/7 by a rotating roster of the village's men. The market is the only time anyone is ever allowed to cross the wall. The Thorn Family || The Thorn twins have always been considered odd. Most people in Wall have at least some inkling of their true heritage, but the twins have no clue that the woman they call mother is actually their step-mother. Their real mother lives in Stormhold, beyond the wall. Eighteen years ago, Dunstan Thorn attended the Market Faire, where he met a woman being held as a slave by a nasty shopkeeper. He purchased a glass snowdrop from her for the price of a kiss, and they spent the night together. One month later, he was married to Daisy Hempstock. Eight months after that, twin newborns were placed in the gap of the wall for him, their names pinned to their blankets. Daisy was Dunstan's sweetheart when they were young. Everyone expected they would marry. She did not expect to raise another woman's children as her own, but she did so with alongside her own daughter with Dunstan with little complaint. She's grown to love the twins just as she loves her daughter. Twin One believes themselves to be completely in love with Child Forester. So much so that they have foolishly promised to bring her back a fallen star they saw in an attempt to win her affection and her hand in marriage. To do this, they must cross the wall. Both twins have numerical names. Duana loves her brother, but she also knows that this endeavor is foolish and pointless. That doesn't mean she won't indulge Twin One in his attempt, if only for a laugh and to keep him from dying a horrific death in the unknown world beyond the wall. The Monday Family || The Mondays own the Monday and Son's General Store in Wall. Child Monday is expected to take over the family business when he comes of age. Child Monday has been quietly courting Child Forester for about a year, and he had planned to begin openly seeking her hand in marriage when the Thorn twins disappeared past the wall. Although he never liked either one of them, now he's been roped into helping Child Forester get them back. The Forester Family || Both Mr. and Mrs. Forester were childhood friends with Dunstan and Daisy Thorn. Stormhold, also known as Faerie, is a world of magic and splendor, filled with every fae creature under the sun. The king has been on the throne for two and a half centuries, but his failing health has forced him to hurry along the selection of an heir. Knocked out of the night sky by the king's jewel, the Star is sought after by Twin one, the Princes, and the Witch. She is injured and lost in a strange land shes only seen from far away. The Guide is a fae bound by honor to guide Child Forester and Child Monday safely to the Thorn twins after they save them from certain death. Due to a deal between his father and Dunstan Thorn, he is also bound to help the Thorn twins achieve their "Hearts' Desire." Tricked and enslaved by a nasty merchant witch, Una has been kept as a colorful bird unless needed since she gave birth to twins. She is enduring a long punishment for giving away a prized and powerful crystal flower, and she's been cursed to stay a slave to the witch until a star loses her heart, if it happens on a week when two Mondays come together. The Princes || Most of the potential heirs are dead, and not by coincidence. Tradition creates a lifelong battle between all potential heirs until only one is left alive. For the first time in memorable history, there are two princes alive by the time the king dies. The law dictates that the throne must pass to a male heir. The first son of the king and the only benevolent one amongst his brothers. An ancient and powerful witch Queen who seeks the Star to consume her heart, which would give her several centuries more youth and power. She captured and killed the last fallen star for the same reason. 1. Reserve with role and Face claim in the OOC thread titled Hunting Stardust. 2. Don't worry too much about Period-accurate face claims. It's not a big deal. 4. yeah theres a lot of characters I know but most of them will be NPCs unless otherwise requested. NPCs of Parents, family members, etc. will be filled in for the most part by the players of those characters. Use your INK to craft new artifacts in Hunting Stardust. Once created, Items cannot be changed, but they can be bought and sold in the marketplace.